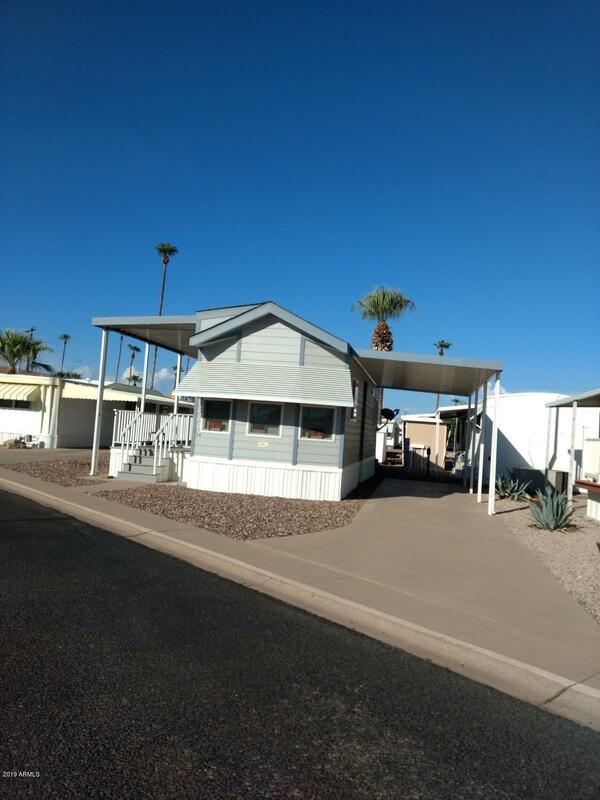 All Trail Riders Ranch homes currently listed for sale in Mesa as of 04/23/2019 are shown below. You can change the search criteria at any time by pressing the 'Change Search' button below. "2014 Beautiful fully furnished home in Gated 55+ community! This resort community is in the heart of Mesa. 1 Bed 1 Bath, covered parking with a storage shed. Large covered deck. Take a dip in the heated community pool or spa. Join a game of cards, in the clubhouse. Meet your neighbors in the exercise room or out on the putting green. Play pickle ball, bocce ball or shuffle board. Why not relax on your beautiful covered patio? Resident qualifications apply."